Despite the title of this essay, I don’t believe in essences. At the least, not in the sense that any complex idea or object can be reduced to an essence. Sure, the “essence” of the element Gold may be thought to be having an atomic number of 79, in the sense that in order for something to be Gold it is both necessary and sufficient that the thing in question is made of atoms with 79 protons. Similarly, the “essence” of a triangle, as a geometric figure, is that the sum of its internal angles is 180 degrees. But few other things in life or in nature are amenable to concise definitions in terms of necessary and jointly sufficient conditions, as Wittgenstein famously demonstrated in the deceptively simple case of “game.” Try to give a small number of conditions that need to be satisfied for an activity to qualify as a game and that separate it from all non-games and you will soon be lost in an ever increasing cluster of similar-yet-not-quite-the-same activities sharing what Wittgenstein referred to as a family resemblance — but not an essence. If games do not have essences, neither do more complex concepts, such as scientific theories, or philosophical systems. So, no, I’m not going to provide you with an answer to the question of what, essentially, Stoicism is, simply because there is no answer to that question. Or, better yet, because it is an ill-posed question to begin with. Nonetheless, as a practicing modern Stoic I am interested in the sense in which I and others can legitimately use the term “Stoic” without distorting it beyond recognition, or without engaging in hopeless and perhaps increasingly ridiculous mental gymnastic to make what we think today somehow fit with what Zeno, Chrysippus, Seneca, Epictetus and all the others wrote all those centuries ago. Let me be clear: I am most definitely not interested in laying down some kind of arbitrary demarcation between Stoicism and non-Stoicism, or in dictating what a “true” Stoic ought to believe in order to be admitted into my club. I don’t have a club, and I’m not going to establish one. On the contrary, one of the things I find most appealing about modern Stoicism is precisely that it is structuring itself as a big tent for people of varied religious and ideological commitments. Modern Stoics are atheists, theists, and pantheists; they are also progressives, libertarians and conservative. And I’m very happy about such diversity. But I am also concerned with my own intellectual coherence and honesty, so I am posing the question for my own benefit, and providing my own answer here. If it turns out to be useful to others, even better. After all, that’s why I’m writing a blog rather than a personal philosophical diary. Let’s start with the obvious: there is no way a modern Stoic could possibly hold to everything the ancients said. Not only that would be weird (we are talking about an evolving philosophy, not a religion whose scriptures are written in stone), but it would also be very silly. Just to give you an example, Chrysippus held that the seat of human reason was the heart, and Galen made fun of the early Stoics for that very reason. Later Stoics, prudently, updated their views on the matter. And so should any modern Stoic, on any matter on which intervening science and philosophy have shed significant new light. 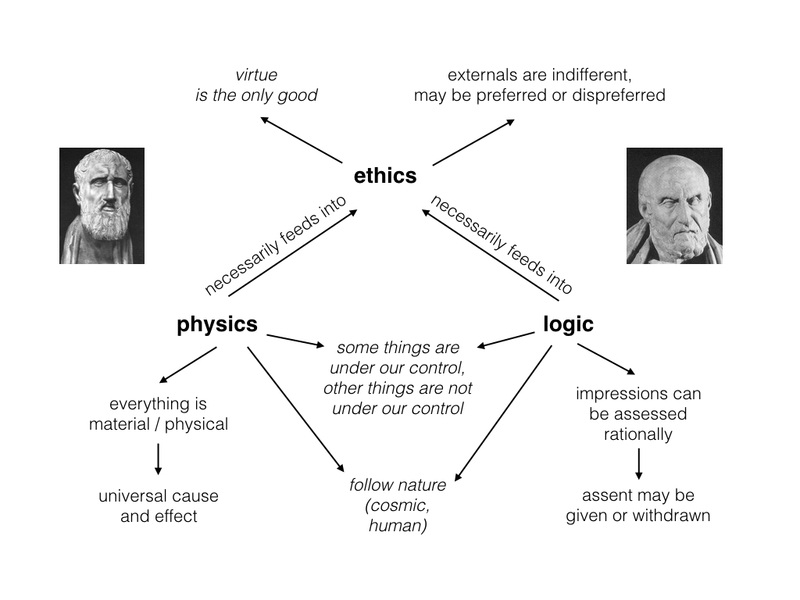 Now for the less obvious: are there some fundamental doctrines in Stoic physics, logic and ethics that, if discarded, would make the resulting philosophy non-Stoic? Yes and no. No if we are thinking about specific notions within physics (say, the exact eternal recurrence of the cosmos), logic (e.g., the incorrigibility of cataleptic impressions), or ethics (e.g., the necessity of marriage according to Hierocles). Yes in the sense that we can go “meta,” so to speak, and inquire about the most general precepts of Stoicism to see how many of those we should retain or could do without and still reasonably call ourselves Stoics. What I have in mind here is actually an approach used by the ancient Stoics themselves, indeed by all the virtue ethical schools of ancient Greece and Rome. Consider what virtue ethics is and how it differs from modern approaches to moral philosophy like deontology or utilitarianism. The latter are in the business of deploying a universal criterion (the categorical imperative, the principle of utility) in order to be able to tell us which particular action is right or wrong. But virtue ethics is inherently situational: the focus is on the character of the individual, not on specific actions. The guidance is general: develop your character by imitating role models and reflecting on the eudaimonic life; practice the virtues at every occasion, and so forth. How this applies to any specific set of circumstances depends on the specific of those circumstances: sometimes killing someone is the virtuous thing to do, at other times not. The same for any other conceivable action of any moral valence. It’s a messy world out there, and universal rules just ain’t gonna cut it. If we apply this idea to Stoicism itself, as a philosophical system, we get some interesting results. Again, let me start with ethics, and then we’ll work our way to logic and physics. A crucial tenet of Stoic ethics is that the only important thing in life is virtue, and moreover that “externals,” such as health, wealth, education, and so on, can be divided in “preferred” and “dispreferred.” This clearly distinguished the Stoics from the Cynics (for whom the externals were entirely irrelevant), and from the Peripatetics (for whom some of the externals were necessary for eudaimonia). It also separates very sharply Stoicism from Epicureanism, since for the latter the most important things are the pursuit of pleasure and the avoidance of pain. At a very minimum, then, one can safely state that if your philosophy is such that externals are crucial to your happiness, you are not a Stoic. But you are also not a Stoic if you ignore such externals altogether. And you are certainly not a Stoic if your main concern are pleasure and pain. It should be clear, however, that within this conceptual space there is a lot of room for reasonable disagreement, and even for evolution of ideas over time, about the specifics concerning the virtues (are there many or one? If many, how many? If one, how does it manifest itself in different ways?) as well as the indifferents (which should be preferred? Why? In what quantities?). Let us move then to logic, by which the Stoics meant a combination of what we refer today as logic, epistemology (i.e., a theory of knowledge) and cognitive science (psychology, perhaps parts of sociology). Now, the Stoics held a number of specific notions in this area too, some of which have survived the test of time or have been further developed, others that probably ought to be abandoned. Are we, as modern Stoics, committed to the details of ancient Stoic syllogistics? I would think not. Should we follow the ancient classification of different types of “sayables,” regardless of what modern linguistics and philosophy of language have to contribute? Again, that would be foolish. Then what is fundamental about Stoic logic that should be retained by anyone calling herself a Stoic? For one thing, the very idea that logic (in the broader, Stoic sense) is necessary to the study of ethics (itself understood in the broad sense of the discipline attempting to determine how to best live one’s life). That is, regardless of how the details are going to be cashed out, a Stoic is someone who thinks that a grasp of good reasoning, as well as an understanding of how human beings actually reason, is crucial to be able to make ethical decisions. As Seneca put it, Bring the mind to bear upon your problems, meaning the problem of how to live a social life in a rational manner. Another tenet of Stoic logic that cannot be abandoned, seems to me, on penalty of moving outside of Stoicism, is the idea that we have an ability — even if only to a degree — of distancing ourselves from our automatic reactions to events, pause, examine them, and determine whether we wish to give them “assent” or not. As I wrote recently, this is actually congruent with a modern, neuroscience-based understanding of emotions. 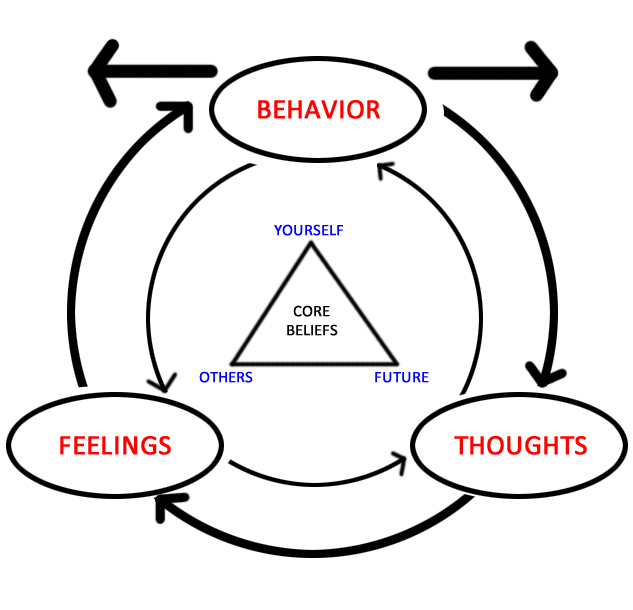 Without this ability to act on the continuous feedback between basic emotional responses and cognitive constructions of such responses no Stoic morality would be possible, and no cognitive behavioral therapy either. What about the physics, by which the Stoics meant a combination of what we would call natural science and metaphysics? Again, it makes no sense to stick to specific ancient ideas. The universe may or may not turn out to go through recurring cycles (the best bet from current cosmology is no, but if so very likely these cycles would not be exact recurrences). As a biologist I think the Stoic idea that the universe is permeated by a “rational principle,” a sort of universal vitalism, is mistaken. Then again, some physicists are now leaning in that direction. It would be unwise to bet too heavily one way or the other, on penalty of eating the same dirt that Galen (metaphorically) made Chrysippus eat. What, then? For one, just as in the case of logic, a Stoic maintains that an understanding of physics is also crucial to the study of how to live one’s life. Stoics follow the facts (in the happy rendition of Larry Becker in his A New Stoicism), meaning that they try to understand how the universe works and regulate their attitudes accordingly. Some things are in our control, other things are not in our control, as Epictetus put it. Certainly the basic laws and structure of the universe are not in our control, “The Secret” notwithstanding. Beyond this, however, one can reasonably assert that a crucial tenet of Stoic physics was the acknowledgment of materialism and of the consequent principle of universal cause and effect. As I noted recently, this is even more foundational than the idea of a god=nature=reason, because the Stoics were adamant that even god and souls are material and subject to cause and effect. The idea of a material — we would say physical — universe with cascades of causes and effects is foundational to modern science, despite some recent rumors that the universe is “made of” math (which would lead to a type of Pythagoreanism, philosophically speaking). I think everyone who considers herself a modern Stoic would agree with this diagram. But much more can be written by following this same line of inquiry. It is possible that we could put quite a bit more meat on the skeleton and still maintain general agreement. But, again, the exercise should not be engaged in for the sake of purity, demarcation, or similarly misguided efforts. The goal is intellectual honesty, not the formation of separate clubs. I’d much rather keep the skeleton minimal and the tent big than trading off more metaphysics for fewer students of Stoicism. This entry was posted in Modern Stoicism on January 4, 2016 by Massimo. Massimo, does the idea of humans as social animals with responsibilities to others have any place here, or is that not essential? In terms of physics, I wonder if there’s a useful comparison for Stoics between a human nature that is partially rational and partially irrational, and a universe that is apparently part order and part chaos. At the risk of being obvious, perhaps an aim of Stoicism might be to bring the whole human being into alignment with the orderliness of nature via the application of orderly thought and reflection. yes, absolutely, the idea of human beings as social animals with responsibilities toward others is crucial, and I think falls under the discipline of action and the virtue of justice. yes, in an important sense Stoicism is about aligning human affairs with the order of the cosmos, but not in the trivial sense that whatever happens is fine — after all, many of the Stoics were actively trying to change things for the better, but rather in the sense of apprehending a cosmic perspective, as well as adopting a more reasonable attitude toward facts of matter, that help us deal with human affairs. how does your response to Montaigne above square with stoic acceptance of fate? As a broader concern I came to stoicism as a candidate philosophy of living that responds to the crisis of nihilism and the pessimist conclusions it leads to. In stoicism I saw a philosophy capable of accepting the world as it is (following the facts) and that based itself on immanent realities (character) over transcendental appeals. Nonetheless it seems that there are ways in which the refined distillation of stoicism you’ve presented retains a transcendental principle. This idea of the cultivation of virtue- even read as the maximization of rational agency- is required to answer the question of its own justification. Extirpating all reference to God and to inherent teleological development leaves me confused as to what the stoic compelling when he counsels the demand to cultivate virtue. If the answer is simply “the good life” we’re stuck in the problem read from scientism: in what way is this desire normative? If it is because it is natural for us to cultivate virtue we risk subordinating it to a preferred indifferent, in the same way pro-social emotions like affection and love are retained. On the modern image (and I’ve not read Becker as yet) I’m confused as to why one would attempt to live this supremely rational life beyond simply liking it or it making me feel good (and thus rendering it an hedonism in disguise). Or is the answer actually- and honestly- just that there are those characters who will hear stoicism’s answer to the good life and agree and those who won’t? For purposes of disclosure: I’ve been interested in stoicism for about 4 years but only recently started to study it more closely. My question isn’t intended to be hostile. I’m also sure I’m just making a simple error here- likely reading comprehension. Yes, and in fact I think it’s fair to say that this went also for ancient Stoicism, considering that the Stoics were materialists and saw god and souls has made of matter and subject to cause and effect. I’m not sure that cultivating virtue requires any transcendental principle. Why is it not enough to say that because human beings are by nature capable of rationality (notice: I didn’t say “rational,” only capable of…) and social, then the paramount thing for them to do is to apply reason to their social living? I am happy to take this as a starting axiom of Stoicism, without further justification. First, because I don’t believe in foundationalist approaches to justification, second because I agree with Becker that this is true for, as he puts it, “agents that are relevantly similar to us.” Stoicism would make no sense if human nature were radically different, and it may make no sense for martians. I think the above is at the least the beginning of an answer — and Becker has a lot more along those lines. But yes, a teleology *would* make things so much easier! Too bad that if we want to follow the facts then we have to admit that there isn’t enough evidence/reason to believe in a teleological universe. I took notes from a reading of Herbert Marcuse’ “The Concept of Essence” a few years ago, who saw human essence as potential. For Marcuse the concept of “essence” is first and foremost grounded in human consciousness, beneath cultural constructedness and beyond epistemology. Essence is grounded in Being itself, in the simple fact that the subject is disatisfied with reality, lives in an exigent state: Essence is “motivated by the critical consciousness of “bad” facticity, of unrealised potentialities”. Could “potential” answer for essence? I’d have to think about it. I’m not sufficiently familiar with Marcuse, and that style of philosophizing is rather different from mine. Still, thanks for the suggestion!